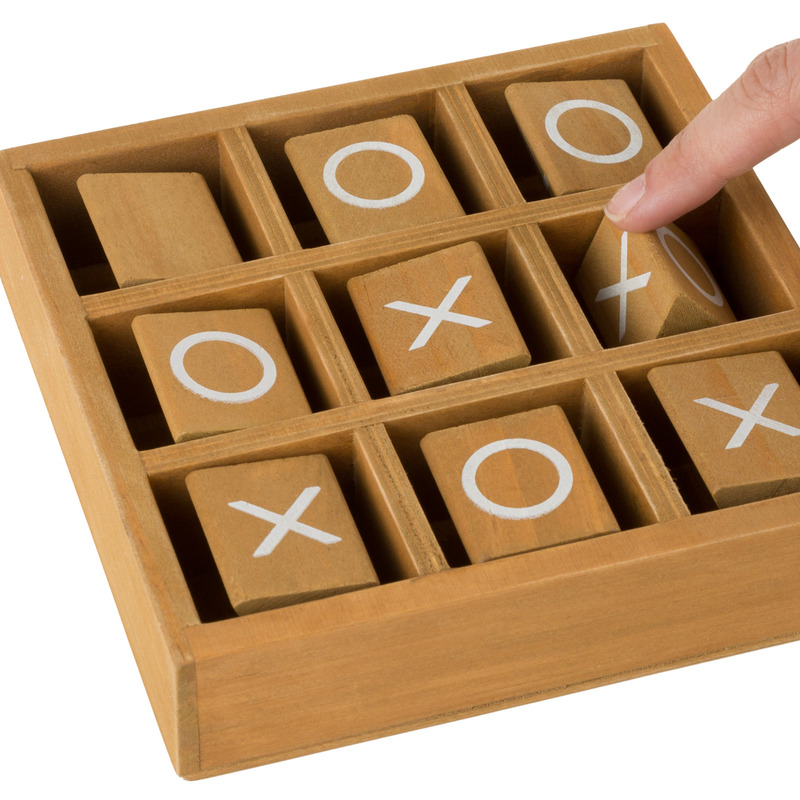 New Products > Tic-Tac-Toe Small Wooden Travel Game with Fixed, Spinning Pieces - Traveling Board Game for Adults, Kids, Boys and Girls by Hey! Play! Tic-Tac-Toe Small Wooden Travel Game with Fixed, Spinning Pieces - Traveling Board Game for Adults, Kids, Boys and Girls by Hey! Play! 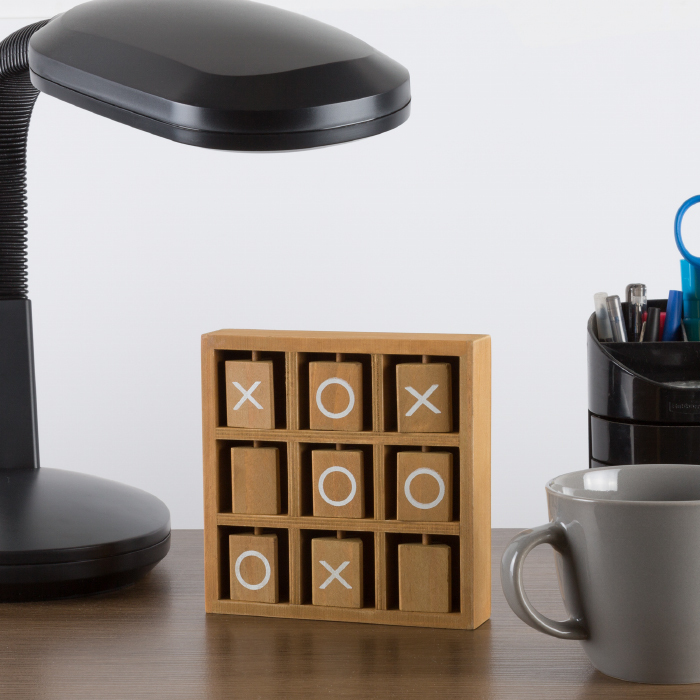 The Tic-Tac-Toe Small Wooden Travel Game by Hey! Play! is the perfect size game for home or on-the-go. Loved by generations of people, it is a fun and brain sharpening one-on-one challenge. Because the X’s and O’s are fixed, and spin to play, the game can be played anywhere, and you will never lose a piece. IMPORTANT: Avoid buying counterfeit products and transacting with unauthorized sellers. Look for our logo on the packaging for every one of our products. Hey! Play! is committed to providing the consumer with the absolute best price and value on our entire line of products, which we ensure by applying a rigorous Quality Control process. 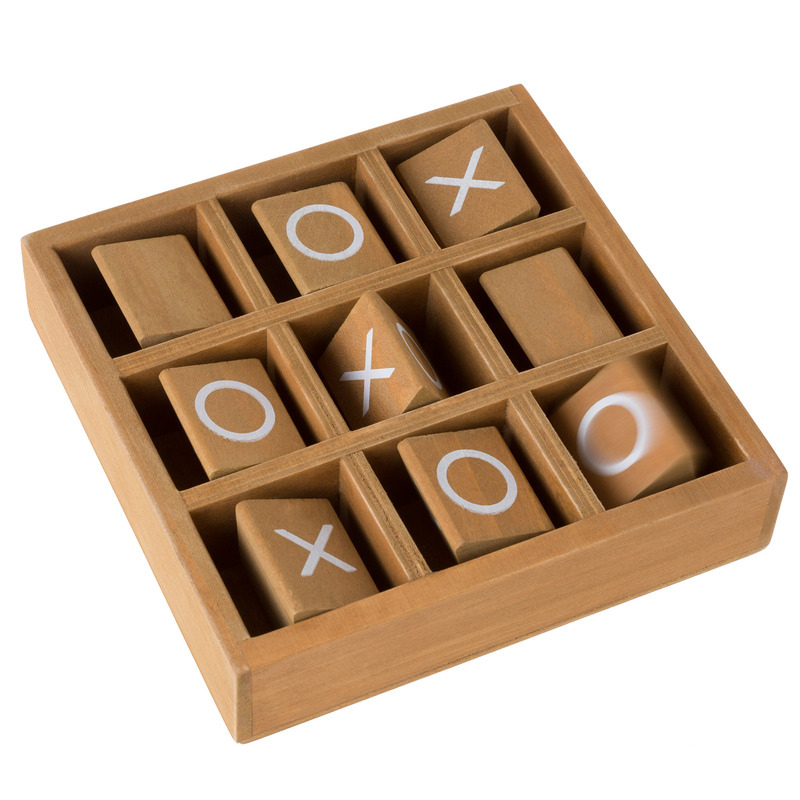 PERFECT GAME FOR THE WHOLE FAMILY– Tic-tac-toe has been a beloved game for generations, so adults and kids alike will enjoy this game. It is fun and educational, teaching critical thinking and hand-eye coordination, so even the youngest of kids can play. USE IT ANYWHERE– This game is small and compact and can fit in a purse or backpack, so you can play it at the beach, in the car, on a plane, office, or just about anywhere. The game rests nicely on any surface, or can be hand-held during play, and the pieces will never fall out. NEVER LOSE A GAME PIECE– All the X and O game pieces are affixed to a spinning wooden axle to you will never lose a game piece again. Just spin the game piece with your finger, and never worry about losing any game pieces. 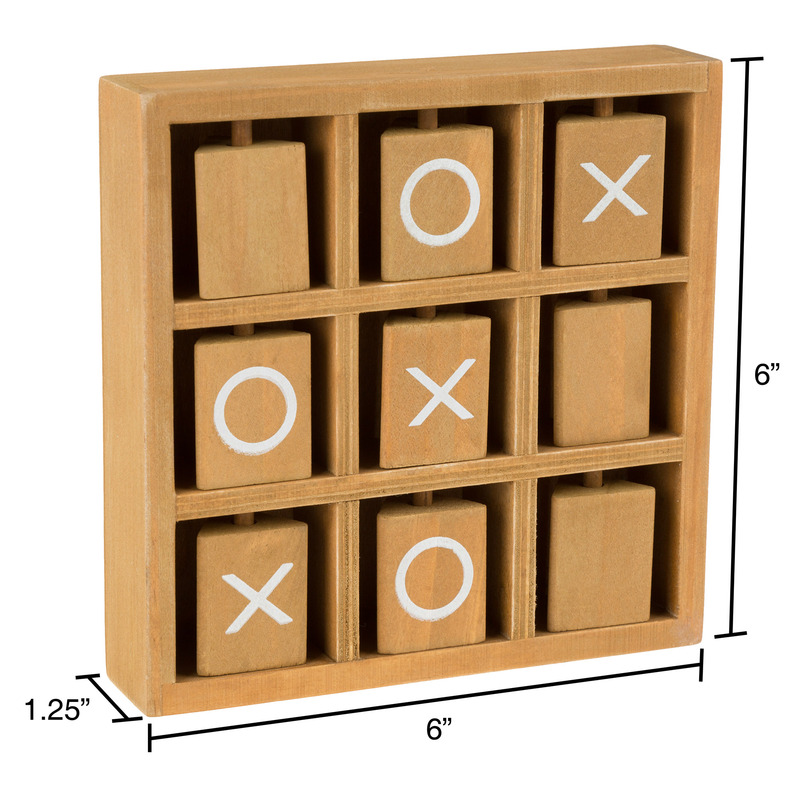 PRODUCT DETAILS– This tic tac toe game is made of pine wood and measures 6”x6”x1.25”. All the X’s and O’s are on a fixed on a rotating axle, so all you have to do is turn the piece over to mark your spot. SATISFACTION GUARANTEED – Hey! Play! is committed to providing consumers with the absolute best price and value on our entire line of products. NOTE: This is an exclusive product of Hey! Play! and ONLY Tic-Tac-Toe Games by Hey! Play! are GUARANTEED to be genuine.